Custom packaging or contract packaging is the art of outsourcing your product packaging needs to a packaging service company. The packaging companies will offer various custom packaging designs. One can either choose from the designs of the packaging company or go with the ones they had in mind for their product. Most businesses and firms normally want to know if it’s better to have their own custom packaging or outsource it to professional custom packaging design companies. It is normally advisable to hire professionals for they often give the best results due to their vast experience and design skills. It’s often better to outsource the custom product design for it is cheaper than having your own custom packing team and resources. The first advantage is that it’s cheaper to outsource packaging needs to custom packaging design companies than it is to have your own custom packaging. 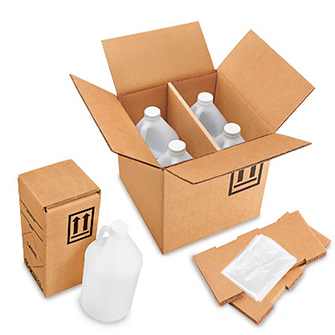 The contract packaging companies have their own contract packaging resources that can be tailored to specifically suit your product needs.It also allows for maximum productivity in other aspects, custom packaging companies take care of your packaging needs allowing you to focus on other things. Custom product packaging also makes your products stand out and this may lead to a boost in revenue and sales leading to more profit margins and an opportunity to expand your various business. We cannot stress the importance of image enough. Customized retail packaging may also promote your businesses brand, we all know the power of branding over consumers. Consumers will be able to easily notice your product in the vast sea of various products. Custom packaging may also offer protection for your products. Your products may be well packaged to avoid any damage. One must first conduct basic research on various custom packaging companies and compare various quotations and select the best price that suits them. One can obtain such information on the internet. Research also comes in handy in that it helps the client make better choices. Better choices may help a client not make costly bad decisions. One can also ask for standard recycled resources to be used on the custom packaging. This is normally cheaper for they are not expensive and cost less than other custom packaging methods. There are normally a number of things one needs to consider before they embark on customized packaging. The first being that one needs to considerwhat they want the consumer to know about their product for consumers normally are very observant when it comes to the packaging. It’s always good to select the custom packages that best communicate the message you want to communicate. One also needs to design the product in a way that ensures the custom packaging will make it really stand out. The custom product packaging should also be kind of recyclable. This communicates to the client that your brand is environmentally friendly. This not necessarily have to occur but it is best to have custom product packaging that is recyclable. These are just some of the few things one should consider when looking to custom package their products. One should also do various research on packaging methods to get one that suits them best.